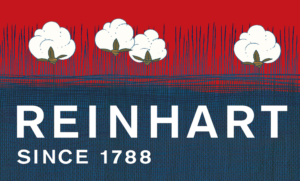 Reinhart is a leading worldwide cotton merchant, founded in 1788 and headquartered in Winterthur, Switzerland. Our company is family-owned. We are proud of being responsible to manage it in the seventh generation. We and our staff are aware of our reputation for integrity. Our commitment, know-how and financial strength give our business partners the confidence that we can live up to our engagements. We recognise how important it is not to live at the expense of future generations and support all efforts to promote sustainability and best practices throughout the supply chain. We are truly global traders. We can offer consumers a wide choice of cotton and help producers to gain access to all markets of the world. Our staff and network of agents all know that the key to success is professional service. Together with our staff we commit ourselves to the principles of honesty, reliability and professionalism to our customers, suppliers and business partners.